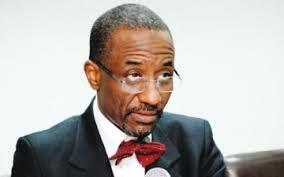 Sanusi’s Case: Where does Jurisdiction lie? This morning, I had the pleasure of viewing a debate between 2 highly esteemed learned friends on social media. The subject being discussed was the recent ruling by a Federal High Court that it had no jurisdiction to entertain the case filed by suspended Central Bank Governor, Lamido Sanusi, challenging his suspension by the President. The court decided that the National Industrial Court was the proper forum, as the matter appeared more employer/employee than anything else, and ordered the case to be transferred accordingly. Now, jurisdiction is perhaps the most fundamental issue in litigation. It goes to the heart and validity of any case. Anything done by a court in respect of a matter in connection to which it has no jurisdiction is a nullity. My first learned friend argued, as she had stated since the suit was initially filed, that only the NIC had jurisdiction. My second learned friend argued that certain provisions of the constitution nonetheless vested the FHC with jurisdiction. My first learned friend disagreed. So, what does the constitution say? Is Sanusi seeking a declaration affecting the validity of an action or decision by the President/Federal Government? Yes, he is. So you see the conundrum here. Both 251 and 254 are literally notwithstanding each other and yet appear to have “exclusive” jurisdiction over the subject matter of this lawsuit. I don’t envy judges. Additionally, I am confused and unable to pitch my tent with either of my learned friends. What do you think?